Vitamin D is a nutrient commonly produced when the body is exposed to the sun. But it is unfortunate that as much as half of the world’s population may fail to get sufficient sun, and 40 percent of Americans are low in D vitamins. This is because people who are mainly indoors wear sunblock when they are outside and eat foods deficient in the vitamin. The daily requirement of the vitamin is 600 IU each day from your diet. If you don’t obtain sufficient sunlight, your intake needs to be close to 1,000 IU each day. Heat oil and butter in a skillet medially and saute chopped onions for three minutes. Then add mushrooms and cook for five minutes until they are crispy. Add garlic, parsley, thyme, and wine before cooking for one minute. Season the mushrooms with salt and pepper before removing from heat and serving. Mushrooms are the sole plant source of vitamin D, in addition to fortified foods. Similar to humans, mushrooms can synthesize this vitamin when under UV light. But mushrooms offer vitamin D2, while animals offer vitamin D3. Even though vitamin D2 assists in raising blood levels of the D vitamins, its effectiveness cannot match that of vitamin D3. Nonetheless, mushrooms are exceptional sources of vitamin D2. In 100 grams serving of mushrooms, you will get 2,300 IU in particular varieties, which is almost four times the daily requirement. On the other hand, mushrooms that are commercially grown are usually grown in the dark and have minimal D2. But particular brands are exposed to UV light. These mushrooms can offer between 130 and 450 IU of D2 per 100 grams serving. Beat milk, eggs, pepper, and salt in a bowl until combined. Heat butter in a skillet medially until hot. Put the egg mixture inside. When the eggs begin to set, use a spatula to pull the eggs from side to side, forming big soft curds. Continue to pull, lift, and fold the eggs until they are thick and there is no visible liquid egg. Remove from heat and serve. People who cannot eat fish should know that there are many sources of vitamin D. Whole eggs are an excellent source that is full of other nutrients like proteins. The egg white has a majority of the proteins while the yolk has the minerals, vitamins, and fat. A normal egg yolk from a hen raised indoors has between 18 and 39 IU of D vitamins, which is low. But a pasture-raised hen that roams outdoors in the sun offers eggs with 3-4 times higher IU of the vitamin. Moreover, an egg from a hen fed with vitamin D-enriched feed has up to 6,000 IU of the vitamin per yolk, which is ten times the daily requirement. Picking eggs either from hens raised outdoors or marketed as high in D vitamins can be an ideal way to meet the daily requirements. Heat butter in a large pan medially. Put chopped garlic and cook for one minute. Fry the shrimp and include pepper and salt. Cook for two minutes on each side and occasionally stir till it starts to get pink. Add some lemon juice, more butter, and water before cooking until the butter melts. Remove from heat and serve. Shrimp is a well-known shellfish. 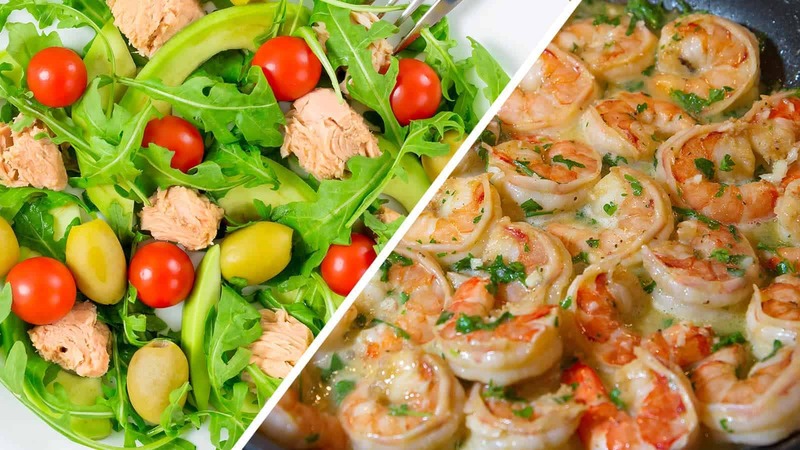 Unlike the majority of other seafood vitamin D sources, shrimp has low-fat content. But they still have a significant amount of D vitamins, which is 152 IU or 25 percent of the daily requirement per serving. Shrimps also have beneficial omega-3 fatty acids, but this is at smaller amounts than other foods that have the vitamin. Additionally, they contain around 152 mg of cholesterol per serving, and it is a significant amount. However, this needs not to be a problem. There is no robust evidence to support the idea that the intake of dietary cholesterol increases the risk of heart attacks. According to the US Department of Health and Human Services, overconsumption of cholesterol is not a problem. Hence, they have eliminated shrimp’s ceiling for cholesterol consumption. Whisk together olive oil, lemon juice, freshly chopped parsley, salt, and minced garlic in a jar. Then combine your tuna with chickpeas, avocado slices, chopped tomatoes, sliced cucumber, and diced red onions. Season with salt and pepper before pouring the lemon juice mixture on the salad. Numerous people enjoy canned tuna due to its easy storage methods and flavor. It is also more affordable than fresh fish. Canned light tuna has 236 IU of vitamin D per serving of 100 grams, which is almost 50 percent of the daily requirement. It is also a rich source of vitamin K and niacin. Awfully, canned tuna has methylmercury, which is a toxin present in many fish types. In case it builds up in your body, it can lead to severe health problems. But particular fish types pose a minimal risk when compared to others. For example, light tuna is usually a better option than white tuna. It is deemed safe to consume up to 170 grams each week. Take a teaspoon of cod liver olive once per day. Take it either in the morning or evening. This will ensure you enjoy its many vitamin D benefits. Cod liver oil is a great supplement. If you dislike fish, consuming cod liver oil may be primary to getting specific nutrients not available in other sources. It is an exceptional source of D vitamins at around 450 IU per teaspoon of the oil, which is 75 percent of the daily requirement. The oil has been utilized for multiple years in treating and preventing deficiency in kids. Cod liver oil is also a great source of vitamin A and offers 90 percent of the daily requirement in one teaspoon of the oil. But vitamin A can be poisonous when consumed in high amounts. Hence, be careful with cod liver, ensuring not to consume excessively. Moreover, the cod liver is rich in omega-3 fats that are deficient in many people. Put water, white wine, bay leaves, salt, lime juice, peppercorns, and white wine vinegar in a pan and boil. Put the fish inside the pan and simmer for 12 minutes until it is cooked. Then chop cooked potatoes and place in a large bowl. Mix mayonnaise, mustard, curry paste, black pepper, dill, lemon juice, and salt in another bowl. Then put the mixture in the bowl with potatoes and mix. Drain the fish and put it above the potato salad before garnishing with lemon wedges and more dill. Herring is a fish consumed all over the world. It can be served smoked, pickled, canned, or raw. The fish is small and an excellent source of vitamin D.
Fresh Atlantic herring offers 1,628 IU per 100 grams serving, which is almost thrice the daily requirement. If you are not a fan of fresh fish, you can consume pickled herring, which has 680 IU per 100 grams serving or 113 percent of the daily requirement. But pickled herring also has high levels of sodium, which can cause high blood pressure and stroke. Sardines are also excellent sources of D vitamins, with 272 IU per serving or 45 percent of the daily requirement. Other fatty fish types are also great sources of D vitamins. You will get 360 and 600 IU per serving of mackerel and halibut respectively. Preheat your oven to 400F and use cooking spray to grease the sheet pan. Arrange salmon fillets and broccoli florets on the sheet pan before rubbing minced garlic over the fillets. In a bowl, combine rosemary, thyme, melted butter, oregano, and brown sugar. Then pour the butter mixture over the veggies and salmon. Squeeze lemon juice from half a lemon over everything before seasoning with pepper and salt. Now put the sheet pan in the oven for 15 minutes and serve. Salmon is a well-known fatty fish and a good source of D vitamins. USDA Food Composition Database states that there are 361-685 IU of D vitamins in 100 grams serving of salmon. But it is typically not specified whether the salmon is farmed or wild. This may seem unimportant, but it can make all the difference. A wild-caught salmon has 988 IU of D vitamins per 100 grams serving, which is 165 percent of the daily requirement. Research has found even more D vitamins in wild salmon, reaching 1,300 IU per serving. On the other hand, farmed salmon has just 25 percent of the amount found in wild salmon. One serving of farmed salmon offers around 250 IU of D vitamins, which is 42 percent of the daily requirement. Drink a glass of orange juice fortified with D vitamins during breakfast. You can even have it with every meal to enjoy its numerous vitamin D benefits. There are limited natural sources of D vitamins, particularly if you are a vegetarian who dislikes fish. Luckily, particular food products that lack this vitamin naturally are fortified with the nutrient. These fortified foods include cereal, oatmeal, cow milk, soy milk, and orange juice. About 75 percent of individuals around the world are intolerant to lactose, and about 2-3 percent are allergic to milk. Hence, some nations fortify orange juice with D vitamins as well as other nutrients, like calcium. 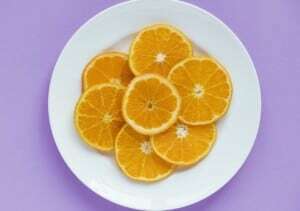 A cup of fortified orange juice can offer you 142 IU of D vitamins or 24 percent of the daily requirement. If you are looking to lose weight, have a healthy heart, and minimize depression, vitamin D is your answer. These vitamin D benefits will ensure that you live a healthy lifestyle longer. One good thing about these recipes is that they are easy and fast to prepare. In under 20 minutes, you can have your meal and stand a chance to fight off flu during the colder days.